Recently we reviewed some of the best deep seating chairs sets you can buy. The problem is that you may not like the pillows included with the patio set. If that is the case, you can view the top 10 best patio chair seat cushions for you to buy in 2019 here. The pillows are comfortable and fit in with any outdoor furniture. No matter what your design, construction, or color each brand offers you what you need. Depending on your color, you can find a perfect shade in this Basic Beyond cushion collection. 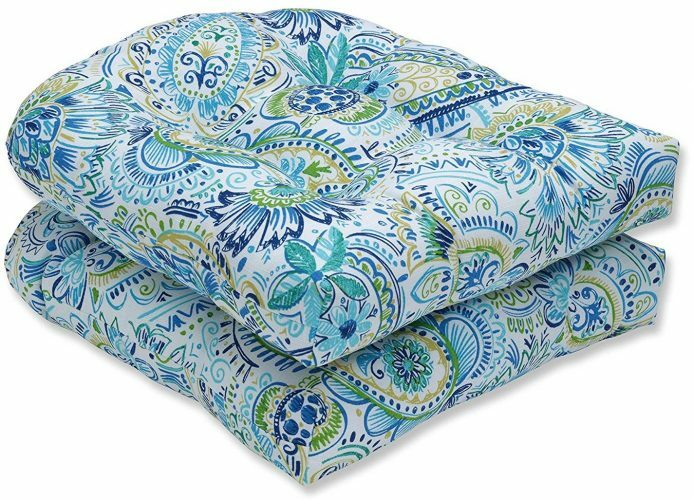 The two-pack pillows will serve you long and is spacious and comfortable. The seating is spot clean only and comfortably fits on any outdoor furniture. The fabric is resistant to stains and water repellent. 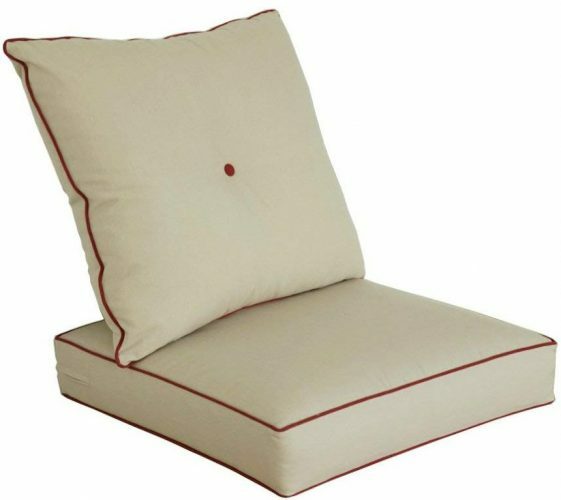 Do you want to replace your current patio chair seat cushion? Pick the Roma Stripe from Greendale Home here. The polyester filling is durable and offers comfortable seating. You can buy it in different pattern design to fit in with your patio furniture. The pillows are cost-effective and the designs elegant. 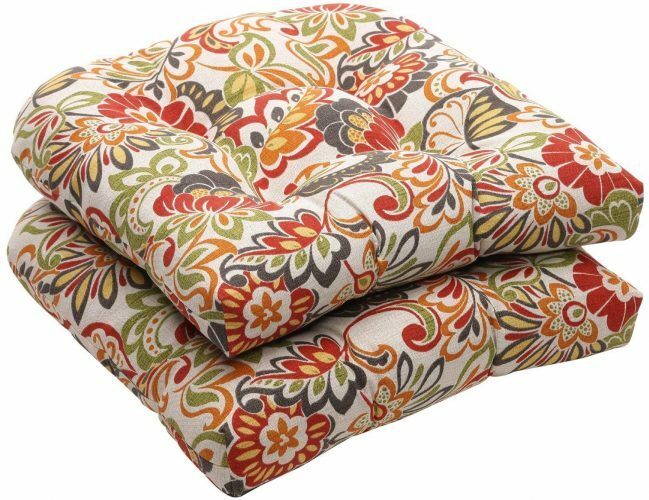 Included in the Pillow Perfect collection you receive two patio chair seat cushions. Pick your favorite color from the wide selection available. The sewn seam closure provides a comfortable fit, and they are easy to clean. You can wash the cushion by hand and dries fast. The exterior is UV-resistant and water repellent. 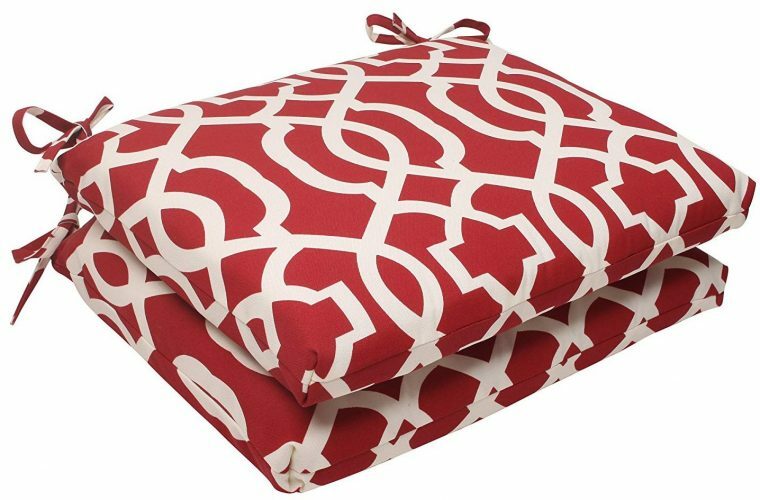 For a perfect outdoor patio chair, cushion look at the New Geo Square set from Pillow Perfect. You can use it indoors or outdoors and makes for an outstanding pick. The polyester fabric is durable for long-lasting use and simple to clean. You can hand wash the pillow and dries quickly. The material is weather resistant so no need of bringing them in when it rains. 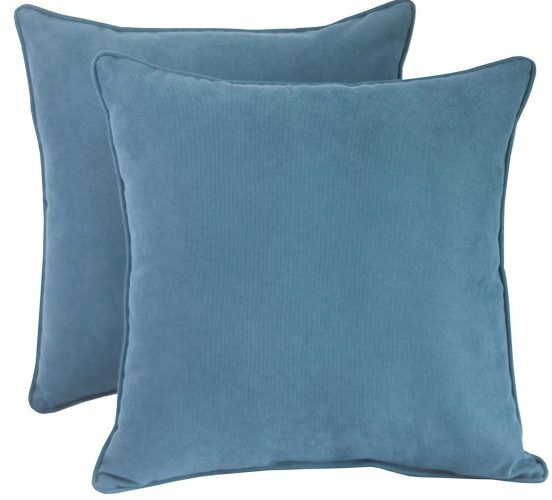 The Gilford Baltic two set handcrafted pillows are perfect for indoor and outdoor use. 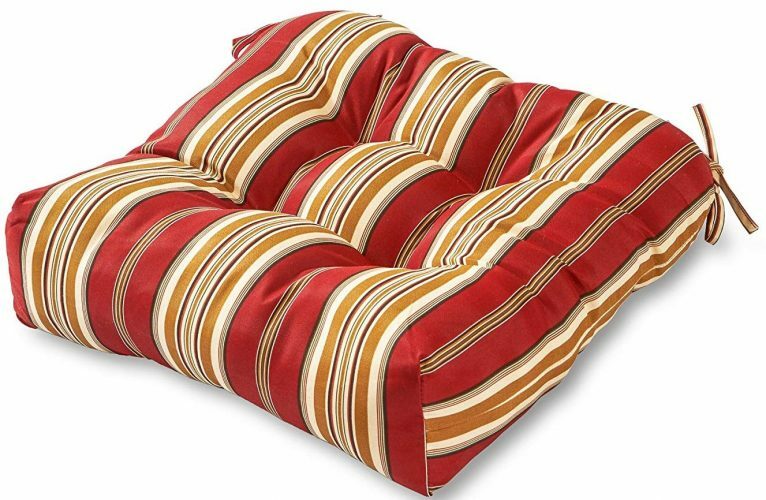 The cushion is weather resistant and has a sewn seam closure that is easy to clean. The polyester material is durable, and the filling offers comfortable seating. With the design, it fits on most wicker seats. The Westport Tufted patio chair seat cushions are suitable for outdoor and indoor use. They are elegant and fit any patio furniture. You can spot clean them and is UV and fade resistant. With the multiple color designs, you can pick a set to fit in with any décor in and around the home. With the Greendale Home Fashions pillows, you get fantastic back support when sitting outdoors. The fabric is UV resistant and does not fade. With the overstuffed structure, they are comfortable to relax. Not only are they comfy they offer you spacious seating. 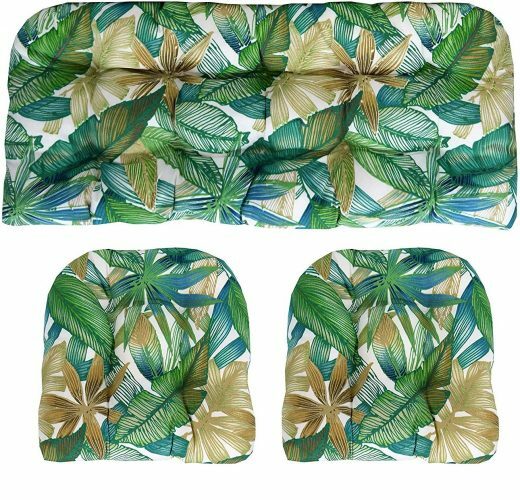 The next patio chair seat cushions from Perfect Pillow have a modern floral design. They are weather resistant with UV protection against fading. The fill is plush and comfortable to sit on and comprise 100% fiber. Furthermore, it has a sewn seam closure and keeping it clean is a breeze. 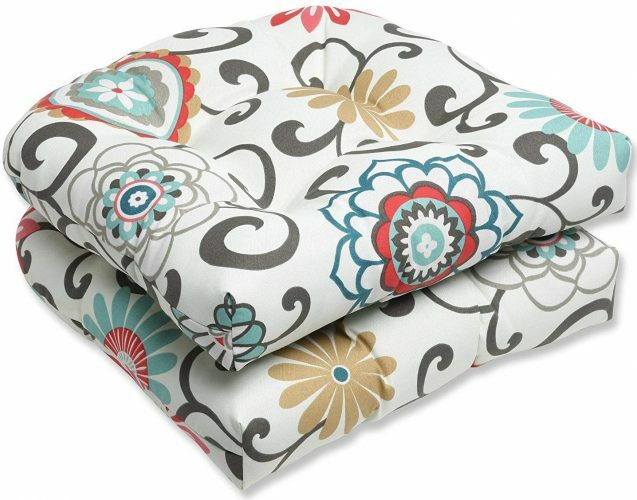 The set of two pillows are affordable and adds style to any furniture. 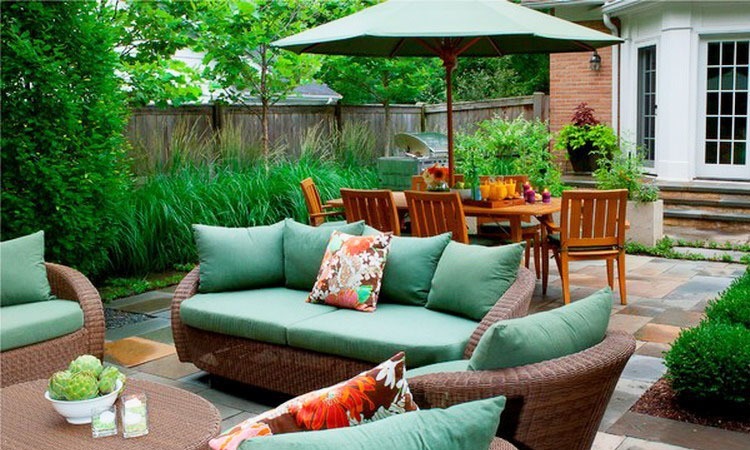 For outdoor seating, you need a weather resistant pillow to sit on. The RSH Décor seat cushions are UV rays and water-resistant. The fabric is soft and comfortable, and you can pick your eye-catching color. So go ahead and add some color and flamboyance to your patio set outdoors. 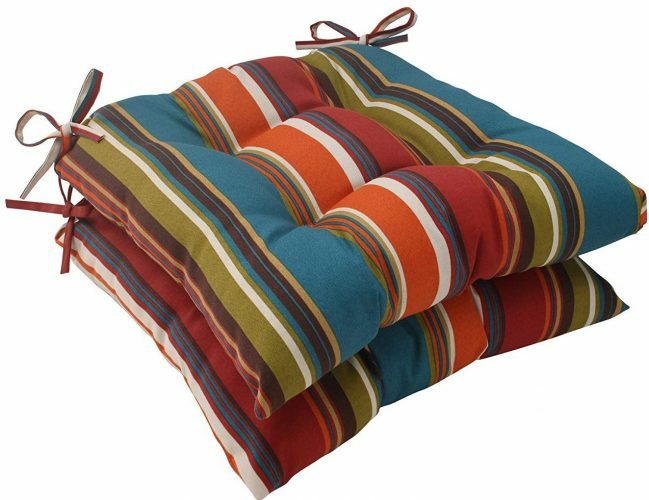 Here is another perfect cushion set offering you a comfortable seating with a durable design. The pillow has a polyester construction with fiberfill. The pillows comfortable and looks elegant placed anywhere. The cover comes with a zipper for removal and is spacious and water repellent. The good news is you can put them indoors or outdoors. 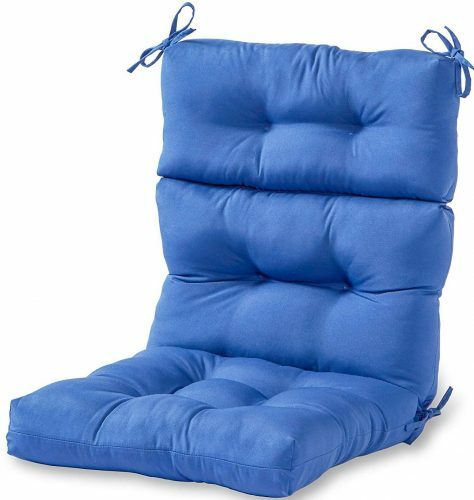 Whether you have recently bought patio furniture with pillows or need to replace your old ones—we hope the top 10 best patio chair seat cushions reviewed here can help. Make a change and liven up your old furniture with brand new colorful pillows from us. Alternatively, if you need a new deep seating patio chair, we can help you by clicking through here.